Is Oddsmonkey the best matched betting service in 2019? That is the question that I want to answer in this Oddsmonkey review. Matched betting is the quickest, most efficient way to build up a betting or trading bank. If you are looking to make a low risk second income online its one of the best options available. There are several matched betting services out there but the big question is which offers the best value? Oddsmonkey vs Profit Accumulator is a discussion that arises often between matched bettors. For me personally as someone that has been matched betting for many years on a large scale there is clearly one service that offers the most value. In this article I will be reviewing the Oddsmonkey premium service which costs £17.99 a month. OddsMonkey have been around for a long time and originally just offered their excellent odds matching software as a subscription. Seeing the success of other matched betting services. Odds Monkey decided to offer there own service. This is the service I will be reviewing. The OddsMonkey premium service offers a load of useful software and applications for matched betting and arbitrage. Here is a list of the contents of this review..
For those that are new to matched betting and not completely confident. 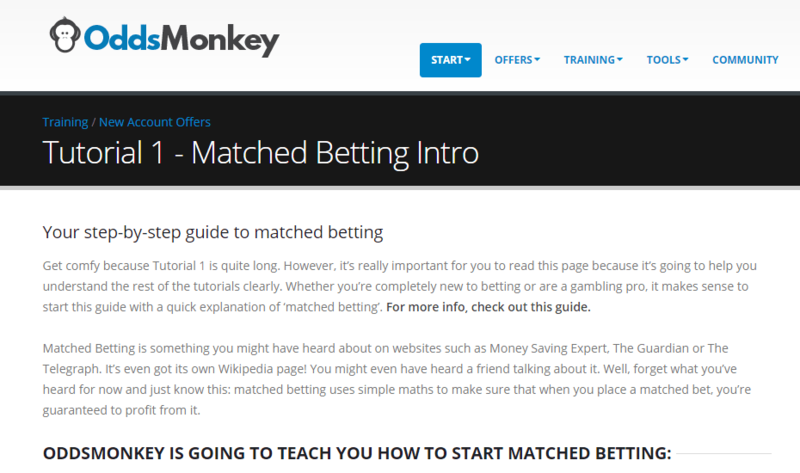 Oddsmonkey offer an excellent tutorial explaining everything you need to know about matched betting. Even including a free membership which guides newcomers through a step by step process of 3 sign up offers. Oddsmonkey lists and updates regularly all of the best bookmaker sign up offers available. 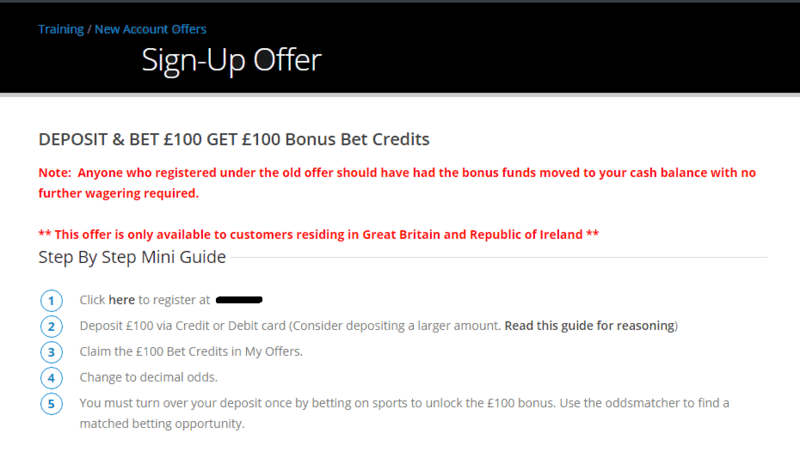 From these bookmaker sign up offers alone it is possible to make over a £1000. The premium service gives you exact instructions on how to extract money from these offers. You can then use the Oddsmatcher software included with Oddsmonkey to find the best possible odds for your free bets. A subscription to Oddsmonkey allows you to go through the whole process as efficiently as possible. Whilst also highlighting any new opportunities that arise. Bookmaker offers are the not the only focus of the Oddsmonkey service. Oddsmonkey also highlights the best opportunities available from bingo and casino companies. Again the instructions are laid out very simply and are easy to follow. The mathematics behind why these offers are profitable is explained in well written guides. Whilst new offers are added and existing offers are also being updated frequently. One of the stand out features of the Oddsmonkey premium membership is the Oddsmatcher software. The Oddsmatcher software allows you to to filter the odds, bookmaker, date. sport, betting exchange that you want to see. This allows find qualifying bets and odds matches for your free bets extremely easy. Oddsmatcher is extremely easy to use. It is quick at processing the information you input. Whilst it can also be used to find arbitrage bets and value bets. Oddsmonkey have really created an excellent piece of software with the Oddsmatcher software. its a joy to use. Racing Matcher is a piece of software created by Oddsmonkey to make profiting from horse racing offers as easy as possible. It highlights the races for the day. Which offers are available for each race. What the qualifying condition for the race is e.g free bet if a faller. Then it shows you the current odds available at both bookmaker and exchanges. Showing you the potential profit or loss for the qualifying bet. Again its all about speed and efficiency with Oddsmonkey software. 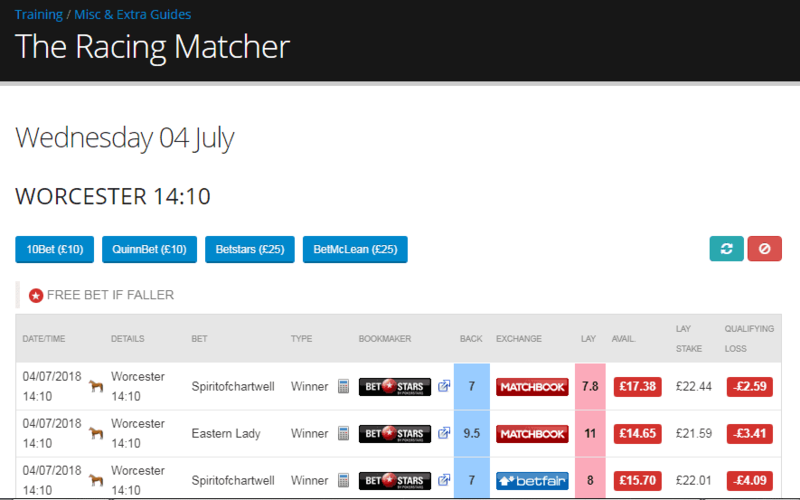 The racing matcher allows you to take advantage of horse racing offers in the quickest possible way. 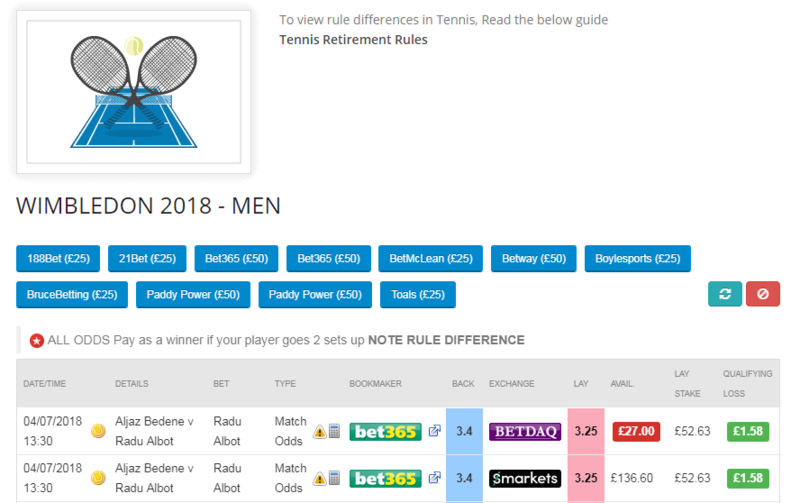 Tennis Matcher uses the same process as the software racing matcher but this time for tennis offers. When big tournaments such as Wimbledon come around. The tennis matcher is a superb piece of software. It allows you to really take advantage of the opportunities available. With a lot of money to be made from tennis offers this software gives you the most efficient way to extract profits. How much more software is there? Oddsmonkey really go all out to provide everything you need for matched betting. So there is quite a bit more. Lets take a look at the each way matcher. Each way betting involves backing horse in both the win and place market. Due to the way bookmakers calculate an each way bet it can be open to exploitation. You can exploit these situations by guaranteeing a profit from backing at a bookmaker and laying with an exchange. The eachway matcher highlights these opportunities. Calculates the stakes you need to make a profit and updates every 30 seconds. Meaning that any new matches will appear as the odds create a profitable eachway bet. Often when there is a big horse racing festival. Bookmakers will offer a special promotion paying out extra places. This then creates situations where you can back and lay a horse. Should they finish in that extra place spot for example 5th. You can win both the back bet and the lay bet. These opportunities can be extremely profitable. Oddsmonkey created the extra place matcher to take advantage of these scenario’s. Highlighting the best extra place opportunities and doing all the calculations for you. Alongside all of the software mentioned above. Oddsmonkey also provide 12 different matched betting calculators. Which cover pretty much every situation you find yourself in. Once you start matched betting and see how profitable it is. It’s likely that you going to start hitting hundreds of offers each month. Keeping track of all these offers and your profit can be quite hard work. Luckily Oddsmonkey provide 14 different ready to use spreadsheets formatted in Excel. 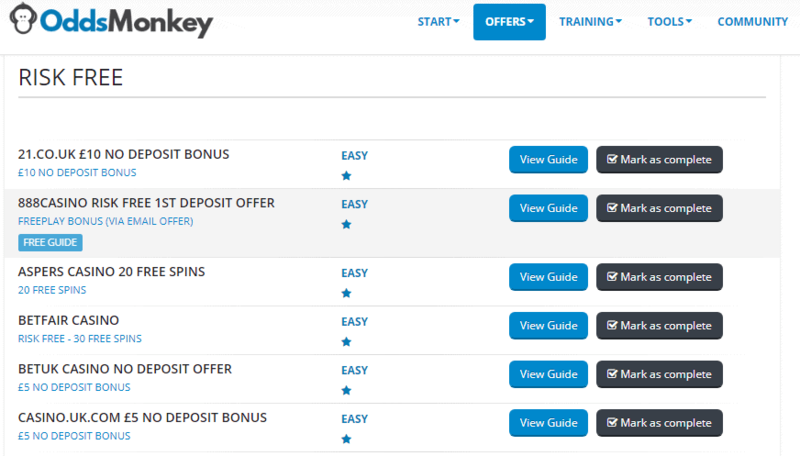 Simplicity, speed and efficiency for matched betting is the ethos behind Oddsmonkey. These spreadsheets again are an emphasis for this. Do you want to learn how to make money from accumulator offers? The Acca matcher will show you exactly how to do that. Whether you wish to take a value betting approach and let your accumulator bets run. Or lay each bet sequentially to guarantee a profit. Perhaps you want to mix your approach and let your initial bets run and lay the last two. Oddsmonkey’s Acca matcher does all the hard calculations for you. Highlighting the most profitable opportunities available at the time. 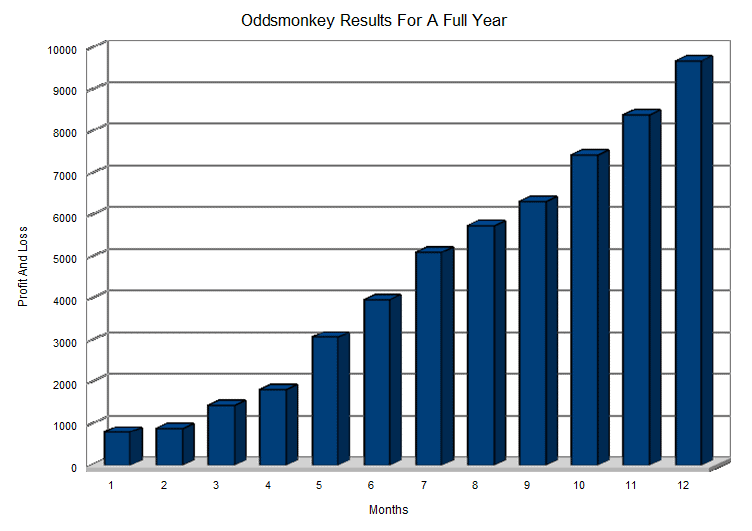 The popularity of Oddsmonkey has grown and grown over the last few years. As this has happened so has the community. Oddsmonkey now has a very active forum with lots of helpful individuals giving out advice. There are threads for beginners, threads pointing out profitable odds boosts, discussions on how to make the most of matched betting. For those that want to become part of an educated matched betting community. The Oddsmonkey forums are a great place to be. Recurring offers are pretty prevalent among bookmakers and casino’s. The daily offer calendar captures all of these recurring offers. It then presents you with instructions on how to complete the offers. Along with an estimated profit upon completion of the offer. From April 2017 till April 2018. I took on a challenge to try and make £50,000 in a year. Using recommended services from my blog alongside some of the betting/trading methods I have written about. 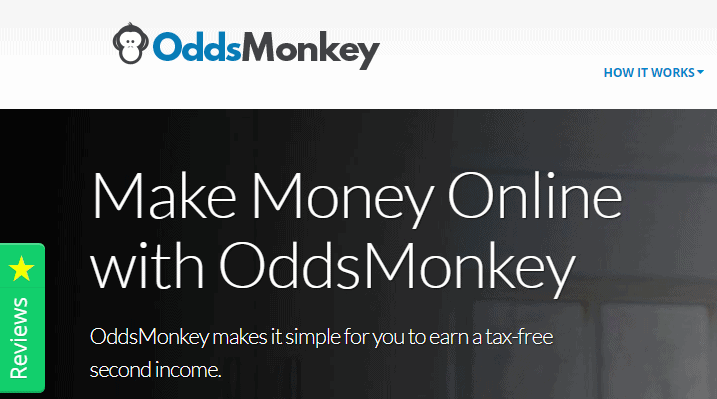 Oddsmonkey Review – Still The Best Matched Betting Service In 2018? Whenever I do a review. I like to highlight any negatives I find within a service. But truth be told Oddsmonkey is really an exceptional service. You get your value for money with OddsMonkey. It is really the complete package offering anything you need for matched betting. There is a huge amount of content and useful software included in your membership. The website is very well put together and easy to navigate. For the new or advanced matched bettor. Oddsmonkey have really made it easy for you to find what you need very quickly. Really what stands out about OddsMonkey is how sleek, efficient and easy to navigate everything is. They have packed so much software and content into the service yet I was familiar with it all within a few minutes. OddsMonkey have really done an excellent of providing the best aspects of what Profit Maximiser have done. Then added as much value as they can on top of that. There isn’t anything bad about this service for £17.99 a month it is exceptional value. The Odds Monkey Premium service is excellent and I would highly recommend it to anyone that was looking to start matched betting it is the complete package. For those that are experienced matched bettors the tools and software that come as part of the OddsMonkey package make life very easy. I look at it as an investment that offers a great return. You can be making profits of over a £1000 a month using this software. It gets top marks for me its a five star product and highly recommended. I have only had boylessport close my account the others will just remove your promotions. Do you think matched betting will still be profitable next year. Lots of people saying it’s slowing down? Its true that offers have slowed down in the last year or so. Still plenty of money to be made though even if you just did offers at the weekend. How much can I realistically make a month if I only do matched betting at weekends? I think you would be able to make a few hundred a month. Depends how much time your willing to spend? Is there a Profit Max review on this site? Searched high & low but could not see it. TY & sorry for the duplicate post. I do use Profit Maximiser so will put up a review soon. I have been matched betting for a long time and although some accounts are limited quickly (Boylesport) others I had for years and am still eligible for bonuses. I was matched betting for a good 8 months, and then all of a sudden account were getting dubbed left right and centre to the point where I can’t get promo’s worth a damn with the main bookies that are used. I’ve been stake restricted on pretty much all apart from Wills to the point that it’s not even with putting a 23p bet on anything. I wasn’t even able to make anywhere near what others have made. I probably got £3200 out of it in the 8 months before it all went pear shaped. I have had some accounts that lasted years before eventually getting gubbed. If you have the bankroll I would suggest moving on to casino offers.